For any locally-based business, ranking highly in local search results is invaluable. It can attract customers, increase the conversion rate, enhance the brand, and simplify targeted advertising. Ultimately, it can enable a business to be more competitive and increase its likelihood of achieving its goals. As such, if your business targets customers in a specific area, you must strive to rank highly in local search results for that area. In other words, you need to enhance your local SEO. The best way to achieve this is through local search engine marketing (Local SEM). What Is Local Search Engine Marketing? Local SEM is a systematic strategy for increasing a website’s ranking in local search results. Its ultimate goal is for a website to achieve the highest possible rank in local SERPs. 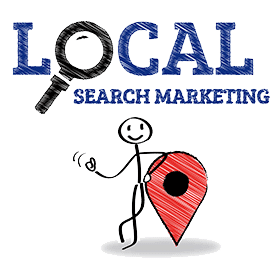 The goal of Local SEM is for a website to appear high on the first page of the popular search engine Google for locally-based searches. In most cases, Local SEM involves a two-step process. The first step is understanding how search engines rank websites for local-based searches. The second step is using a number of strategies to calibrate a website and make it rank higher in the local search results. A Citation is one of the metrics used by search engines (especially Google) to rank websites for local-based searches. The more of the right online citations you have, the more Google considers your website relevant. And chances are that this can help your website increase in the local search engine page results. Of course no ones knows the exact methodology that makes a web page rank high in the Google SERPs (not even Google employees) but tests have shown that having citations in place is a step in the right direction. Okay, let’s talk about what a citation is. At a basic level, a citation is simply the name, address and phone number (called the NAP) of your business. Google uses your business’ NAP to identify its relevance for local-based searches. However, the NAP isn’t just helpful for Google. It is also helpful for potential customers. It enables prospective customers to locate you easily, and can therefore generate leads for you. To enjoy the full benefits of citations, there are a number of things which you need to observe. First of all, you need to ensure 100% consistency in your NAP. Make sure each citation across the web is exactly the same. Doing this can help move your local listing closer to the top (I’m referring to your local listing on the Google Map). Basically, whenever you post valuable content online, don’t forget to include your NAP. This will increase your visibility to both the Google bot and to potential users. Ultimately, it will enhance your local search rankings. Finally, you need to periodically audit your citations. This basically involves cross-checking your citations to ensure that they are active, accurate and are being used in the contexts you want them to. In June 2014, Google launched a free service which can enable a business to get its info online. This service called “Google My Business” is perfect for enhancing a business’ relevance on local searches. The service enables you to add content which is relevant to your business. This includes your NAP, as well as pictures, videos and other important info. The service then automatically adds your information on Google Search, Google Maps and Google+. This makes it easy for people to find your business whatever service they are using. The service also enables customers to review your business. It also makes it easy to connect with customers, such that they can pose their questions, and you answer them. Using Google My Business can make it easy for Google to index your website for local-based searches. This ultimately increases your chances of ranking higher in local search results. To find out more about the service, please visit its Google page (https://www.google.com/business/). Social media is one of the most effective platforms for Local SEM. For starters, social media can enable you to easily promote your local-based content. It also enables you to engage existing customers and potential customers directly. Social media also enables people to engage with your content (i.e. like, share, retweet, mention and link back). All this increases your “social media signals” which search engines use as a metric for ranking websites. The real power of social media for local SEO comes from participation in local-based groups, associations or organizations. If your social media signals come from local-based groups, this increases your relevance for local-based searches. Your online reputation can have a direct influence on your local SERP rankings. Let’s take user reviews for instance. A company with more positive user reviews will definitely be ranked higher than one with more negative reviews. This is because the search engines will consider it as offering greater value. The same applies to potential customers. Most people will choose a company with positive user ratings over one with negative ratings any day! This is why online reputation management (OPM) is absolutely necessary. 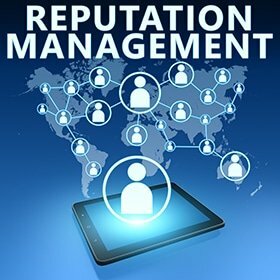 OPM can enable you to enhance your company’s reputation. By so doing, it can improve your local SERP rankings. The above Local SEM strategies can play a critical role in increasing your website’s ranking in local search result pages. However, to be fully effective, they need to stand on a solid foundation. This foundation is based on the standard SEO strategies i.e. your website’s user experience (UX), onsite SEO, offsite SEO, low bounce rate, and other organic SEO strategies. Without such a foundation, your Local SEM strategies will not be very effective. The undeniable fact is that local search engine marketing is complicated. For starters, you need a solid foundation in standard SEO practices (i.e. UX, onsite SEO, offsite SEO, etc). Secondly you have to execute the Local SEM strategies (i.e. citations, Google My Business, etc). This can be long, complicated and stressful. Therefore, if you desire to maximize your website’s rankings for local-based searches in 2016, simply sign up for our Local SEM service. Simply call 303-200-1000 to speak to one of our local SEM experts to get started today or by email at sales@seozones.com. You can also take the next step and fill out the form on this page and receive a FREE analysis or your website!